Volunteer at the Revolution on September 27! 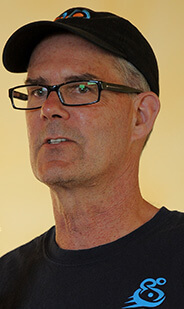 The Rev needs over 100 volunteers to ensure the event runs smoothly. Sign up as a flagger, a registration table aide, a breakfast or lunch crew member, a mechanic, a SAG driver or other fun position! Volunteers receive a snazzy 2014 Rev volunteer t-shirt, a goodie bag, a great meal at the Festival, and BORP’s undying gratitude. Another Year of Great Things at BORP! On June 30, BORP’s fiscal/program year came to end and I am pleased to share that we had another very successful year. A few of the highlights included:• Over 650 people with disabilities participated in our regular programming. 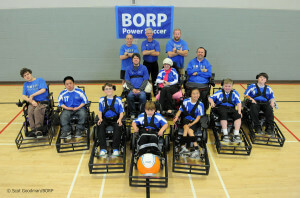 BORP teams participated in 41 sports competitions, and the BORP Jr. Road Warriors (wheelchair basketball) and the BORP Crushers (power soccer) each enjoyed tremendous success at their respective national championship tournaments. Our Cycling Program continued to grow and serve more people than ever before. In fact, the Center has achieved a 600% growth rate since 2006. Our Adventures and Outings program led 70 outdoor adventures trips. The Fitness Studio continues to offer regular, weekly classes. We completed plans to launch a new kayaking program. Of course there is no time to bask in this success, because on July 1 we begin another year! 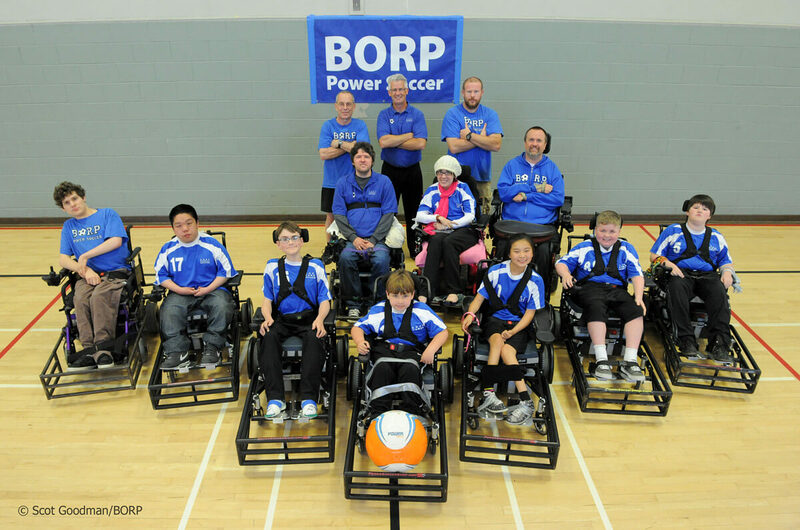 Now in our 38th year, BORP is poised for another full, active year of providing sports and recreation opportunities for children, youth and adults with physical disabilities. As one year ends and another begins I always think about what we can do to assure BORP’s services for another 38 years? Toward that end BORP is launching a new Legacy Society. Membership in the society is simple – help BORP secure its future with a “planned gift” such as a bequest. For more information on this new effort contact us at (510) 849-4663. As some of you know, for the last couple of years our Adults Sports Program, under the leadership of Jonathan Newman, has been working with UC Berkeley to provide a student-community adaptive sports class with a focus on goalball. The class has had both academic and practical components, and has been well received. It has also garnered substantial media attention (see here and here). Building on this success, BORP will continue to partner with the university around a more ambitious goal – to develop an on-going adaptive sports program on the Berkeley campus, and make it the first university to have such a program in California. To support this effort the Chancellor’s office has provided us with a seed grant to get started. 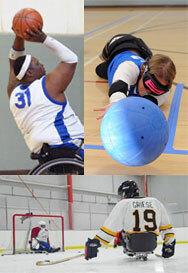 In the first year we will focus on goalball and power soccer. Today CAL has over 3,500 students with disabilities so we are extremely excited about the opportunity to bring adaptive sports to the campus. Help Keep BORP Strong – Let’s Make this Year’s REV Our Best Ever! The centerpiece of BORP’s budget comes from our annual Revolution event – this year on September 27th. Funds raised support all of BORP’s core programs from cycling and team sports to the Fitness Studio and the Adventures & Outings program. Our goal this year is to raise $175,000 and I hope each person with a connection to BORP will support the event. Last year we added the “Roll ‘n’ Stroll” to engage folks who would prefer to walk or use their wheelchairs to explore the Trentadue vineyards rather than cycle. We also have a free “virtual participant” option which allows people to raise money for the Rev “in absentia” if they can’t attend. So whether you cycle, stroll, or go virtual, the net effect is the same – you’ll be supporting BORP’s 2014/15 adaptive sports and recreation programs. For registration details go to www.borp.org.revolution. The Revolution rolls on September 27, 2014! Ride the new 65 mile Revolution Challenge or tackle 45, 25 or 10 miles. As always, enjoy the post-ride festival with delicious food, complimentary wine and beer, a free professional massage, great music and fabulous company. Don’t wait! Register today! Can’t make it to the Rev? Be a Virtual Participant! Anyone can create their very own FREE fundraising webpage on the new Rev Registration and Fundraising platform. In just a few minutes you can build your page, send emails and post to Facebook asking family and friends to help support BORP’s unique adaptive recreation programs. Build your page, virtual superhero! For the first time ever, we’re making the official Rev jersey available to anyone who wants to purchase one! 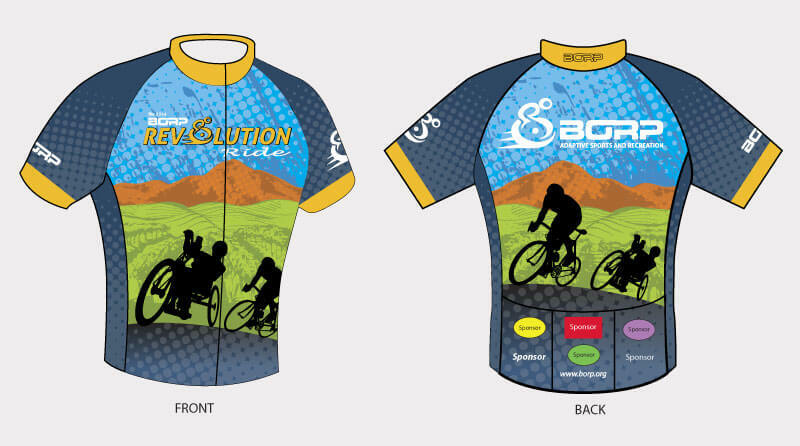 This stunning jersey is made of wicking polyester and is very comfortable for casual and serious riders alike. It features three easy to access back pockets, a hidden full length zipper in the front, and is made right here in California! Order yours today, either during registration for the Rev, or through the Revolution jersey shop. $65 through Aug. 22. Limited sizes of last year’s jersey are also available for $35. Friday, July 11 – Sunday, July 13 – Camping Trip with East Bay Parks – Originally scheduled as a camping trip with EB Parks this is being turned into two separate outings because of the drought. Saturday, July 12th: Swimming and picnicking at Robert’s Park in Oakland Hills. Lunch will be provided by EB Parks. At approx. 2 pm, we will do archery at the Redwood Bowman Archery Center. More info: A&O Coordinator, Lori Gray at 510-843-4398; Tuesdays and Thursdays after 10 a.m., please. Sunday, July 13: Point Pinole Regional Shoreline – Join us for a day of hiking, picnicking and fishing. We also have some transportation available for families. Paperwork and waivers are required for this outing as well. Call me for more details. Lunch will be provided by EB Parks. Limited transportation provided from Ed Roberts Campus. We also have some transportation available for families. The BORP Crushers are the 2014 MK Battery Presidents/Founders Cup Champions! The power soccer squad competed at the United States Power Soccer Association Championships in Indianapolis, IN June 13-15. The Crushers played incredibly well over the three days and began the tournament by winning their first three matches by a combined score of 24-0! The team won quarterfinal and semifinal matches on Saturday by scores of 8-0 and 6-1. Their thrilling 3-1 victory in the final on Sunday over the very tough Minnesota Northern Lights was a much deserved reward to all the 2013-14 Crushers for a wonderful season of hard work, dedication and commitment to the team. 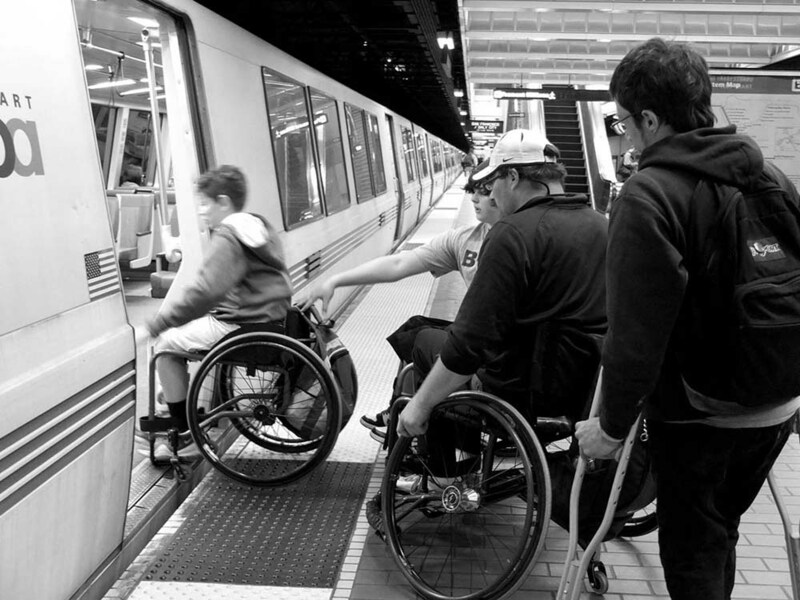 On a Saturday afternoon in late March, a group of youth from our wheelchair basketball varsity team participated in a travel-training exercise, designed to educate and familiarize transitional-age youth with various aspects of the BART system. In addition to the introduction to general facets of BART travel such as understanding the different train routes, determining fair rates and various safety concerns, our kids learned to assess the layout of multiple stations, determine the location of elevators and their functional status, and understand the location of a given station in relation to their intended destination. Immediately following our regular wheelchair basketball practice, the BORP shuttle brought the kids to the North Berkeley BART station to begin this travel-training exercise. 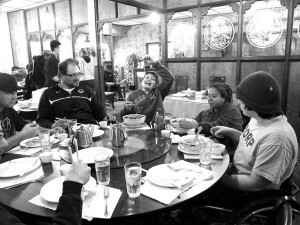 From there, we rode the train to the downtown Berkeley station, then proceeded to our ultimate destination, the Mandarin Garden restaurant. After enjoying a rather elaborate feast and spirited conversation, we returned to the downtown Berkeley station. Given that this exercise was designed to provide a context to explore the BART system as much as possible, rather than return to the original point of departure, we chose to ride a different train line to arrive at the Ashby station, the location of BORP’s home office in the Ed Roberts Campus. The full route of this exercise allowed our kids to familiarize themselves with three different stations, with different layouts, running on different train lines, all in the context of a simple, everyday experience of going to lunch with a group of friends. It is our hope that after a few more of these type of outings, our youth participants will independently and spontaneously do this together on their own, thus setting a precedent for greater mobility and independence throughout their lives.